Last October, Google AdWords released Shopping campaigns, a new format and the next iteration of Product Listing Ad management. 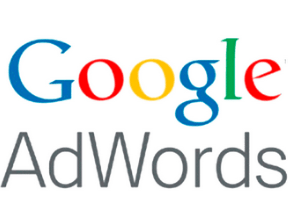 In early April, AdWords announced that all merchants will need to migrate to the new format by late August 2014. Merchants should begin migrating soon as there are key differences with the new Shopping campaigns that, if left unattended, will harm performance. And each product group can be assigned its own bid. You’ll notice in the screenshot above that the product group “Everything else in ‘All products’” is “Excluded.” By default, the new Shopping campaigns will also show all products unless otherwise noted. With this new campaign format, you have the ability to exclude categories (such as all products) and individual products (which we’ll discuss later). Also, keep in mind that ad-group-level bids are trumped in favor of product group bids. 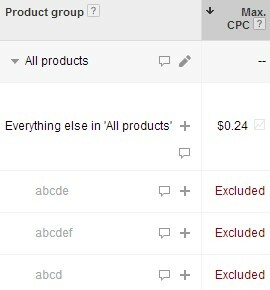 For example, if your product group bid is $1 and your ad group bid is $.50, Google considers the $1 bid the priority. A helpful addition in Shopping campaigns is the ability to see how your click-through rate, cost per click, and PLA impression share stack up to the competition. Historically, Google has not shared this data. Merchants can now make bid and feed updates based upon the data and competition. It is important to review this data in conjunction with your PPC goals. For example, a 75 percent impression share may make the most sense to achieve the targeted return on investment. Benchmark and impression share metrics. 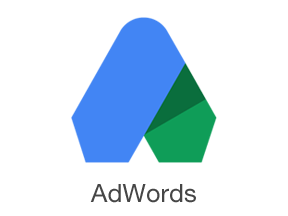 Within the AdWords interface, merchants now have the ability to see metrics associated with individual products. 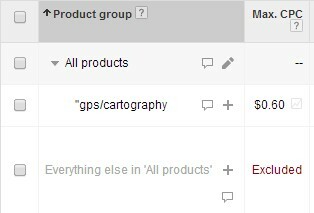 Previously, this data was harder to see as you had to create individual ad groups for each product or craft custom reports. This is no longer the case, as product-level reporting is available within the “Dimensions” tab. This update means that merchants can now exclude products in Shopping campaigns. The previous fix for excluding products was to do so directly in the feed using the “excluded_destination” attribute. 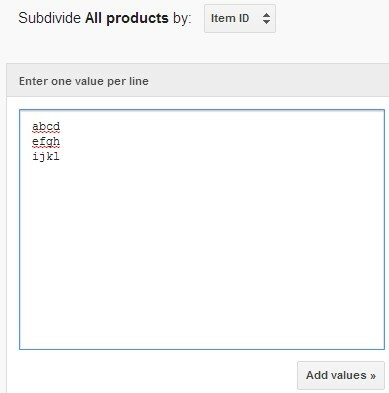 To exclude products, you’ll subdivide by the Item ID and then add the specific identifiers. Add product IDs into product groups. Once the products are listed in the product group you can exclude them. Conversely, you can create campaigns that target specific products. Just create a campaign that targets all products, add in your top items, and then exclude the rest of the products. As with any campaign, the implementation of negative keywords is imperative to success. 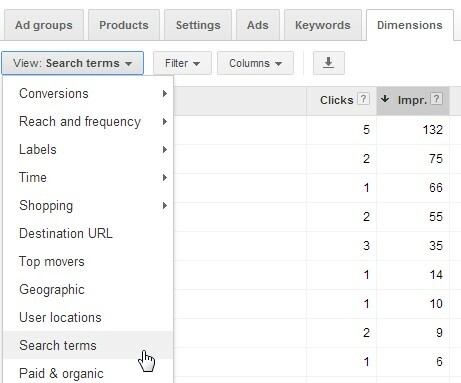 Shopping campaigns still accept negative keywords at the ad group and campaign levels, but to view the queries, you must go to the “Dimensions” tab. You’ll then need to copy the queries you want to add as negatives and go to the “Keywords” tab to exclude them. Although this extra step is tedious, it is necessary. The new Google Shopping campaigns allow for more streamlined management and better reporting. There are still flaws to be worked out. But by and large, the improvements are helpful.